Well, I said that finding Frederick Cockrem Jr's service records had given me an urge to write about him, and the urge is still with me, so here goes. Frederick Jr had a very short life and no descendants, and I wonder how many of his relatives alive today even know he ever existed. I want to bring him to their attention, not because he did anything remarkable, but because he's one of a huge number of young men who heard the call to fight 'for King and country' in the First World War, and lost their lives in that futile conflict. 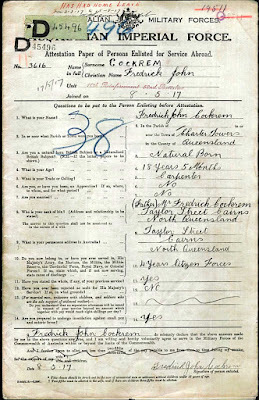 Frederick was born in March 1900, to Frederick Cockrem and Rhoda Rhodes in Charters Towers, Queensland, Australia. Whether his parents were ever married or not, I haven't been able to discover, but either way, his mother was out of the picture, probably deceased*, sometime before 1905, when his father married Louisa Lee. So Frederick was raised by a step-mother, along with a bunch of other children, from her first marriage, his father's first marriage, and their marriage together. He lived most of his short life in Cairns, attended the Hambledon State School, and later worked as a carpenter. From about the age of 13, he was a cadet in the Cairns 'Citizen Forces' (later to be known as the Army Reserve), so when the war began, he was probably very keen to go and 'do his bit'. But of course he was far too young, only 14 at the start of the war. Over the next three years, he may have thought the war would be over before he got his chance, so on the 5th of May 1917, he enlisted in the Australian Imperial Force and lied about his age. At that time he would have been just over 17, but he stated his age as 18 years, 5 months. Of course it's possible that he didn't know his real birthdate. When he enlisted, he was described as 5 feet 8 inches tall, 127 pounds, with a fair complexion, brown eyes and brown hair. His medical examiners found him medically and dentally fit, and five months later he was on a troop ship, HMAT Euripides, heading from Sydney to England. During the voyage, which took nearly two months, he spent 5 days in the ship's hospital with tonsilittis. 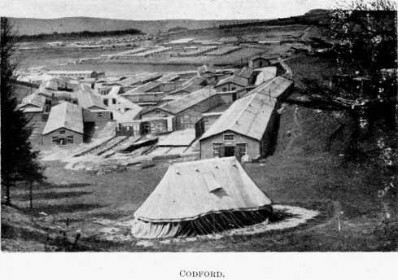 The ship arrived at Devonport in England on the 26th of December 1917, and along with the rest of the 13th Training Battallion, Fred marched to the bleak and muddy garrison camp at Codford on Salisbury Plain, over 120 miles away. Just a few days later, he was hospitalised again, this time with mumps. The day after being discharged from hospital, he was back again, with measles. Two months later he was discharged to a Training Depot, and about 10 days later, he was in hospital again, with bronchitis. 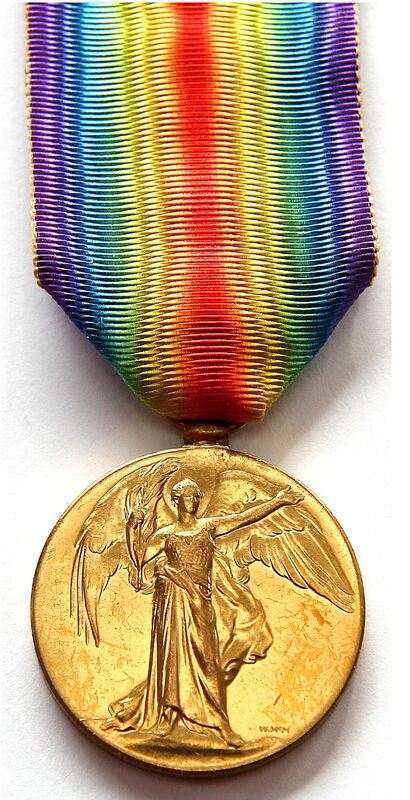 On the 16th of April 1918, he was sent to France to join his unit at Calais. Then on the 21st, as a member of the 10th Reinforcements, 52nd Infantry Battalion, he was sent 'to the field', and would finally get into the fighting. 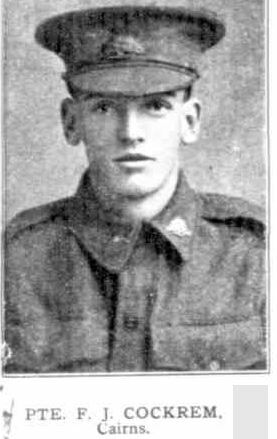 Three days later, he was dead - one of the many Australian casualties at Villers-Bretonneux. Nearly a year later, in March 1919, Fred's half-brother George wrote to the Administrative Headquarters of the AIF, asking why Fred's belongings had not been sent home to his father. He received a prompt reply, stating that Fred's personal effects had been bound for Australia on the SS Barunga in June 1918, which was lost at sea, with all its cargo, as a result of enemy action. Later information was received that Fred's effects consisted only of cards and photos. 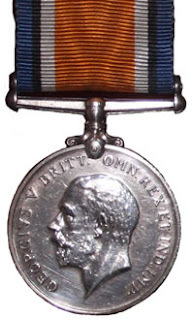 Although Fred's army career was very short and full of illness, and his active service in the field lasted only a few days, he was honoured, as were all Australian casualties of WW1, with a Memorial Scroll and Plaque, a Victory Medal and a British War Medal, all of which were sent to his father in the 1920s. His name is engraved, along with 10,981 others, on the Australian War Memorial at Villers-Bretonneux in France. And the sad memory of his life lives on with me, and I hope, with others in our family. 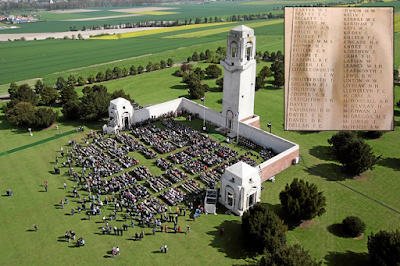 The Villers-Bretonneux Memorial, and close up showing Frederick's name. * The only evidence I have about Fred's mother is her name on the index of his birth record, and a note on his enlistment application saying 'mother died' with no suggestion of when that happened. Lovely profile and nice to see him remembered, he had a sweet face! Thank you, Kat. Yes, he looked so young and vulnerable, he doesn't belong in that uniform.